Last summer we ended the season with a bang! The Ibiza Closing Festival & Reunion was a huge success amongst returning guests and we can’t wait to do it all again for 2019! Find out what was included in the 2018 Closing Festival Package below! Get ready to finish off the summer in style at the first ever Party Hard Closing Festival in Ibiza! 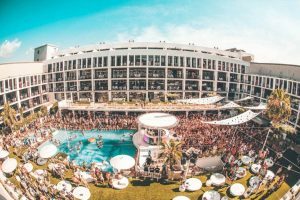 Expect a huge line-up over the 5 days with the likes of Craig David, DJ EZ, MK and Chase & Status to name a few, playing in the biggest super-clubs and pool party venues in the world. We’ve also teamed up with legendary Ibiza Rocks Hotel as our accommodation partners for the festival so you’ll be staying in style! Welcome to the #1 Party Hotel in Ibiza! World famous for a reason, the Ibiza Rocks Hotel has hosted some of the largest pool parties and festival shows the world has ever seen! This legendary hotel features its own bar, restaurant, gift shop, and has multiple supermarkets only a stone’s throw away! Experience Ibiza like never before at this legendary hotel and be right in the heart of all the action this summer! 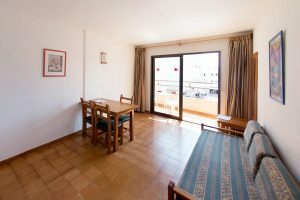 The Ibiza Rocks Apartments are the perfect way to ‘rock ibiza on a budget.’ Only 300m from the world famous hotel, you’ll still have complete access to the pool, bar, restaurant, and hotel services, all without breaking the bank! Every apartment includes free Wifi, 24 hour reception, and an Apartments pool with sunbeds to enjoy everyday!